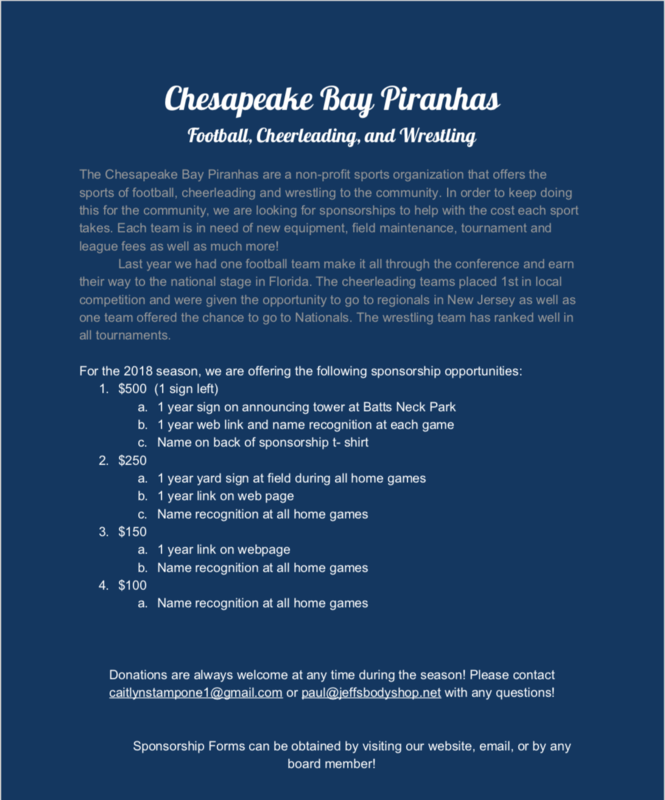 Help support the Piranhas and sponsor the 2018-2019 season! Interested in sponsoring the 2018-2019 season? Contact us today to get your sponsorship signed up!